Aibase is described by its publishers as a Creative Data Manager. It provides a graphically-intensive front end to organizing ideas and knowledge in documents and essentially is a diagrammer with a strong bias towards technical diagrams. 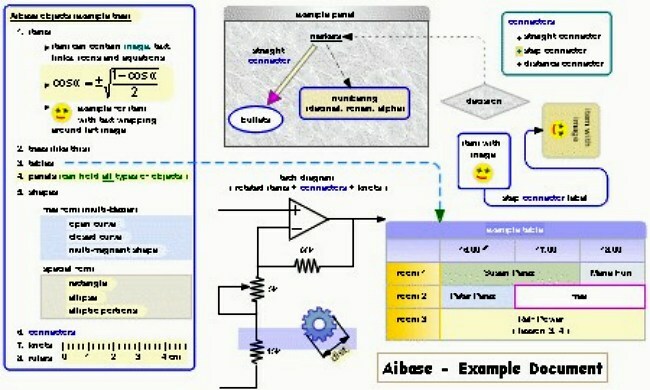 Like most diagrammers, Aibase could be used to construct mind and concept maps. It also lays claim to being a tool for project management, having timeline and calendar features.